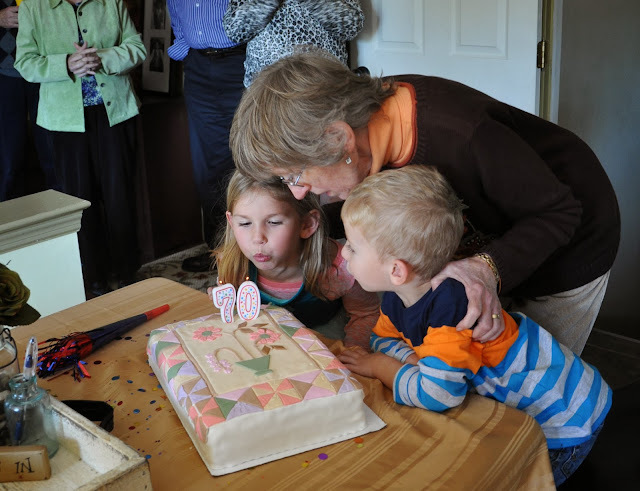 Judy was surprised by her family with a 70th birthday party! 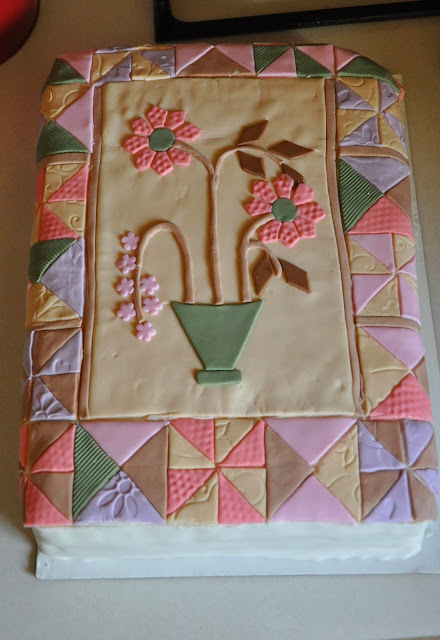 My friend, Heather made a 'quilt' cake for Judy. Judy loves to quilt, so this was a perfect cake for her! Happy birthday!! As a quilter, I LOVE that cake! Nice pics of everyone. 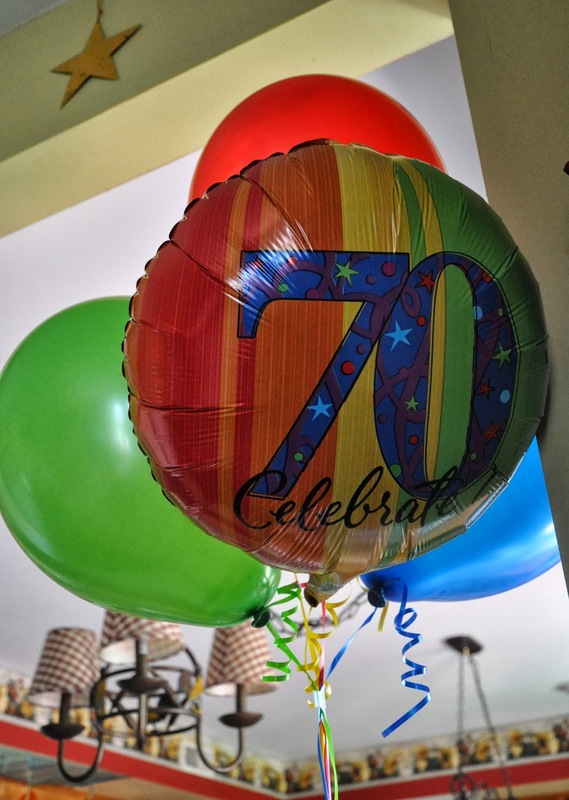 I'm guessing 70 is not the oldest age at the party. Happy Birthday! what a wonderful party y'all had! love the quilt cake.